Return transfers from Mumbai to Mumbai. Lavasa	Fortune Select Dasve Or Similar	02Any transport to / from Mumbai. Your tour price starts Ex Mumbai. Expense of personal nature like tipping, laundry, and telephone/fax calls, alcoholic and non alcoholic beverages, mineral water during meals, mini bar or drinks, room service, camera/video camera fee at monuments, medical expenses, airport departure tax etc. Transport during days at leisure. Welcome to your 'Lavasa Cost Saver' tour. 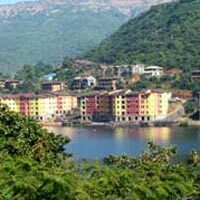 On arrival at Mumbai airport / railway station, you will be met and driven to your hotel in Lavasa. Arrive and check in to hotel. (approximately 4hrs drive). Varasgaon Dam also known as Veer Baaji Pasalkar Dam is one of the three major dams situated on the Mose River. Lies 40 km away from Pune city, the dam supplies water to the city. Waterfall is another attraction of Lavasa that offers some breathtaking views of the falling water from height. Surrounded by mountains and abundant natural beauty, it is one of the main attractions of the place. 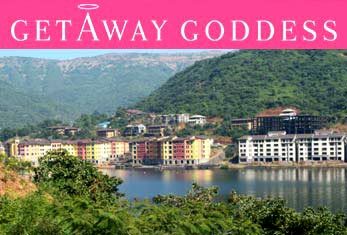 Spend your evening at Lavasa Waterfront and Promenade. After breakfast, proceed to visit the Lavasa city in your car. Enjoy water activities at Lakeshore - Water Sports, Adventure sports (on your own). In the afternoon, return back to the hotel. Later in the afternoon you'll be taken to Dasvino Town and Country Club. The Club is well equipped with multi-cuisine Restaurants, Bar, Spa and Salon, Gymnasium, Swimming Pool, Angling Deck, Tennis, Squash Courts, Chess and Card room, Kids Play Area and an Amphitheater (all entries and activities are on direct payment basis). This morning take a serene nature trail beside your stay. 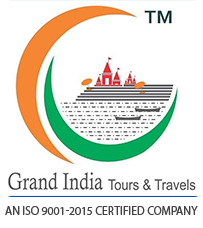 After breakfast check out hotel and transfer to the airport / railway station in Mumbai for your onward journey. We trust that you enjoyed your 'Lavasa Cost Saver' tour. Please do give us your valuable feedback on feedback@coxandkings.com. Any transport to / from Mumbai. Your tour price starts Ex Mumbai. All sightseeing's are subject to weather, political conditions in the destination. Any meals (Breakfast, Lunch, Dinner) apart from special meal, as per meal plan of the package would be in the coffee shop of the hotel, in case room service or meals taken at specialty restaurant the same would be at an extra cost. Cost of 'Child with No Bed' only includes Breakfast at the hotels. Meals would be payable directly as per the actual consumption.